Planting Instructions: Dig a hole large enough to spread out roots without bending them. Set crown with buds just below the soil. Water in thoroughly. Plant at least 6 weeks before ground freezes. 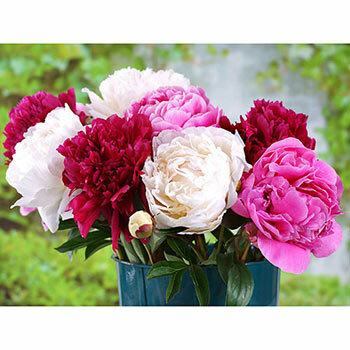 Additional Information: Peonies are classic garden plants that add a bit of nostalgia and charm to the garden. The fragrant blooms and lush foliage made them popular for years and with the resurgence in breeding, they will continue to improve.